has been part of the TSO Spring team since it first opened in 2011. 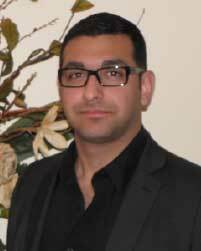 As the lead optician and lab manager, he enjoys all aspects of the optical field from frame styling to edging lenses. He has been part of the optical industry since 2008. Outside of work Thomas enjoys playing soccer and spending time with family.